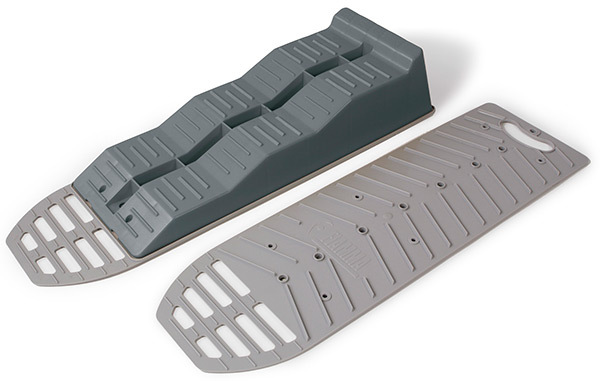 ANTI SLIP PLATE Anti-slip plate to block the level system on paved surfaces only. Dim. : 10x16cm. 2 pieces package. 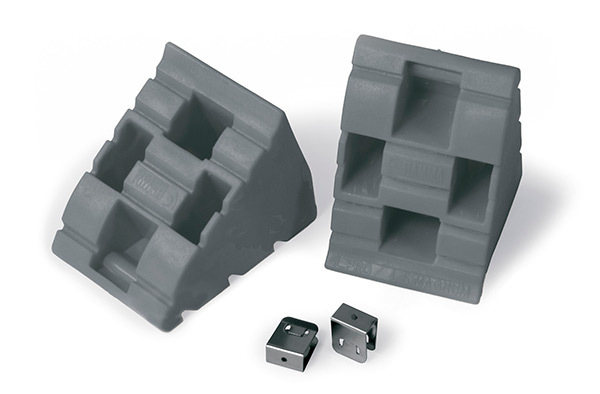 CHOCK LEVEL Kit of 2 chocks to secure the wheels during long stopovers. Delivered as standard with steel hooks to firmly fasten two Chocks when used on Levels. Solid construction in UV-resistant polyethylene. 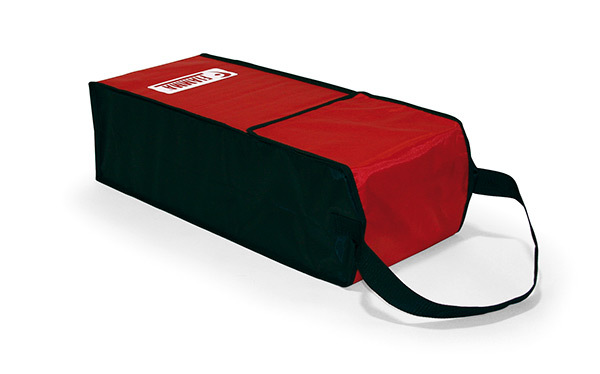 LEVEL BAG Bag available in washable Polyester, easy to carry thanks to its comfortable shoulder belt. 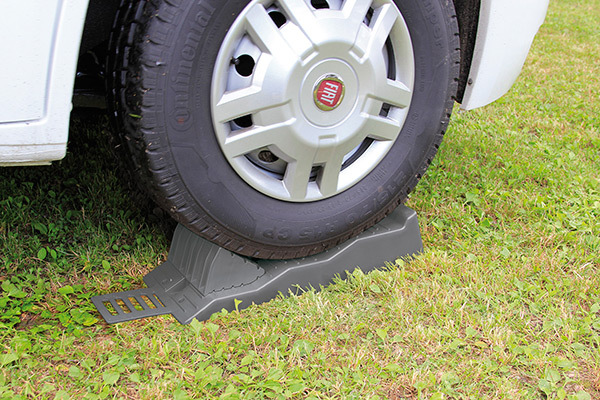 LEVEL PLATE Anti-skid system designed to easily be installed under the Fiamma Level Up with the screws that are delivered as standard: it increases traction of the levels and avoids skidding on smooth surfaces and sinking on soft grounds like sand or mud. Solid construction in UV-resistant PELLD. 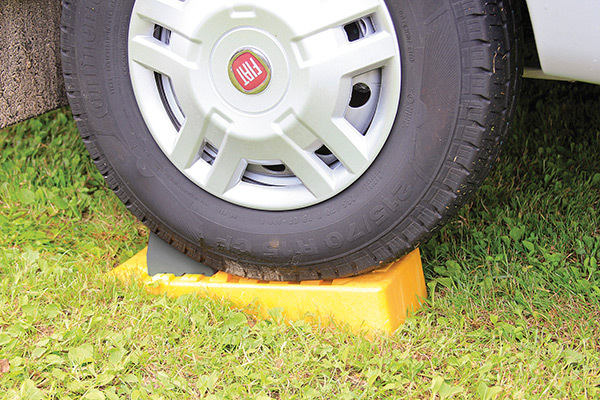 Chock to secure the wheels during long stopovers.